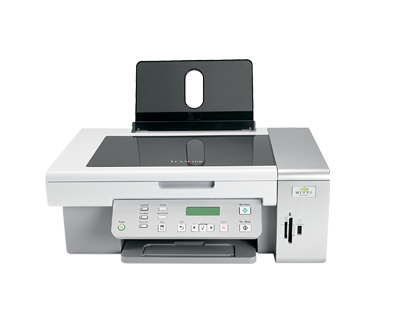 Experience the convenience of wireless printing with the Lexmark X4550. This All-in-One easily scans, copies and prints fast -- up to 26 ppm black and 18 ppm colour. (2) Non-refillable cartridge licensed for single use only. Return empty cartridge only to Lexmark for remanufacturing, refilling or recycling. A variable amount of ink remains when this cartridge must be replaced. Replacement cartridges (23A, 24A) sold without those terms are available through www.lexmark.com. All prices features specifications and claims are subject to change without notice. (1) Printer designed to utilize your network's security (WEP, WPA and WPA2) and broadcast range. 인치 - H x W x D): 11.26 x 17.8 x 21 in.